When Sammi and David contacted me telling me that they were coming all the way from Hong Kong to Los Angeles for their friend’s wedding and that they wanted me to shoot their own formal bridal session while they were visiting I was so excited. Abalone Cove is where we decided to take their photos. 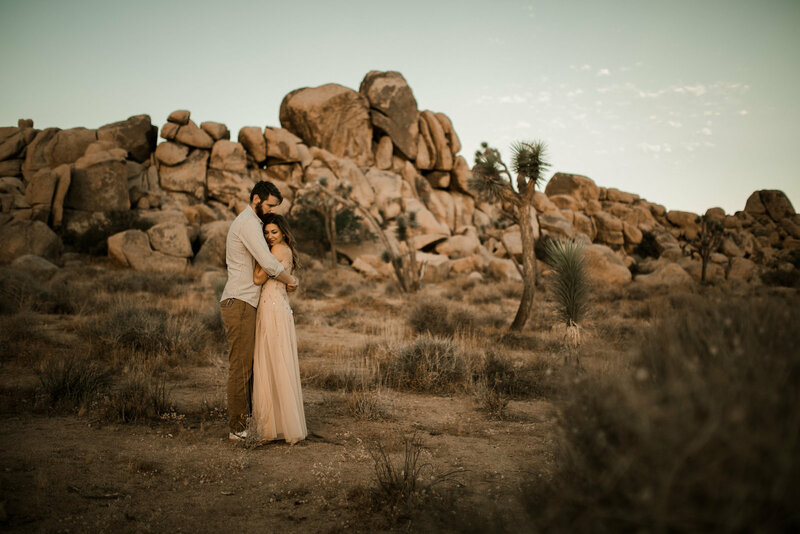 I always think it is such a spectacular idea when you can take your engagements or bridals in a different or unique location other than where you are getting married. It adds such diversity to your photos and it can also be a fun way to explore new areas you might not have thought to visit. When choosing a location for bridals I try to explore the area before so I know what to expect. On this particular day I didn’t have much time to scout out locations because we didn’t plan on the day being so cloudy. We thought of some rocky beaches near Los Angeles and Abalone Cove came to mind. When we arrived, it was perfect. We were some of the very few people that were there so it made for a very private and intimate session. The tide was high so we didn’t have much of a beach to work with, so we stuck to the side of the cliffs and the rocky shore. Since it was cloudy the colors seemed to stay very muted until the last little bit of our session the sun peeked out behind the clouds and painted the reflection on the water to look like a bowl of orange sherbet.